It's well known that anxiety and depression can be crippling for people of any age. But for school-aged kids, the impact of mental health issues may be particularly profound. After all, it's hard to learn anything at school when you're too depressed to even show up or too traumatized to focus. 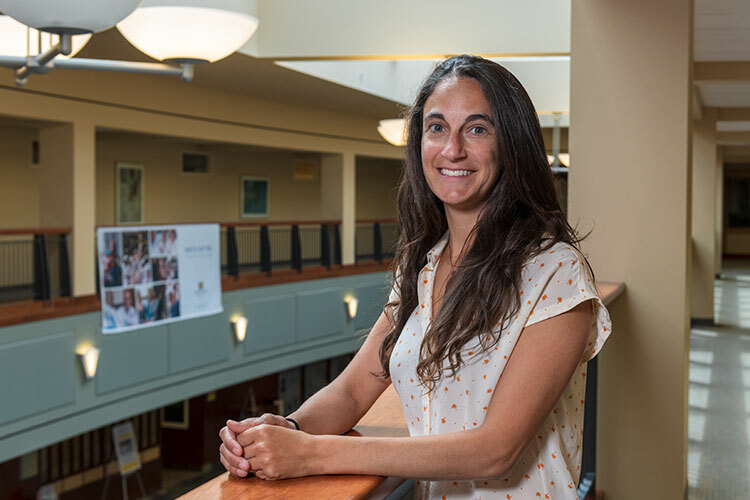 "Child and adolescent behavioral health difficulties present an urgent and unmet need across Michigan," says Elizabeth Koschmann, program director for the University of Michigan's TRAILS (Transforming Research into Action to Improve the Lives of Students) program. "Depression and anxiety affect one in five school-aged youth, without regard for factors such as race, ethnicity, gender, or socioeconomic status." TRAILS program director Elizabeth Koschmann. But getting students access to the mental health resources they need is a challenge – especially for families contending with poverty or living in under-resourced communities, who face extraordinary barriers to care. It's something that schools all over Michigan contend with – figuring out a way to ensure that all students, including those from vulnerable communities, get the emotional help they need. In fact, it became such an issue at Ann Arbor's Skyline High School that school counselor Amy McLoughlin says staff were completely stumped. "We had so many students struggling with suicidal ideations and severe depression, and we just didn't know how best to help them," McLoughlin says. However, McLoughlin says "it changed everything" when Skyline staff reached out to the University of Michigan's Depression Center, which connected them to TRAILS. TRAILS was launched in 2013 in response to schools' need for help addressing students' mental health issues. The program provides one-day professional development trainings for school counselors across the state on the topics of cognitive behavioral therapy and mindfulness. "Both strategies have been shown to significantly reduce the symptoms of anxiety and depression in young people," Koschmann says. TRAILS coaches provide follow-up training with school staff for 15 weeks. There's also a library of materials and resources on the TRAILS website that school staff can use for free whenever they need it. "You wouldn't believe the changes we've seen," McLoughlin says. "I had one student who was so profoundly depressed she couldn't even function. We talked about the importance of physical movement as a coping skill, and finally settled on running as something she could try. She went from being a student who was in my office three or four times a day to a student who stopped by once a week to touch base and let me know she was still running. And she's only one example out of hundreds." The TRAILS website notes that one out of five school-aged kids is impacted by mental illness, but only 20 percent of those affected ever get the help they need. For many years, the popular mindset was that families should take care of such issues at home, but that mindset is changing. There's a growing body of data showing that mental health services are a natural fit for student support systems in schools. A group of teachers and support staff in the Lansing School District (LSD) realized that several years ago when trying to figure out how to help some of their most vulnerable students: refugee kids. Lansing's growing refugee population has presented school staff with a unique set of challenges, in that many of those kids have literally fled for their lives before arriving here. A huge number of them struggle with severe post-traumatic stress disorder, depression, and anxiety, which makes settling into school extremely difficult. "We needed a way to help students who were struggling to overcome these enormous challenges that life had thrown at them," says Gina Zerka. Zerka is the Project PEACE (Promoting Peace by Expanding Awareness of Culture and Equity) coordinator at the LSD Office of School Culture, which is tasked with integrating mental health into the Lansing school system. In 2014 a group of LSD staff applied for a Project Prevent grant, which is funded through the U.S. Department of Education, and Project PEACE was born. 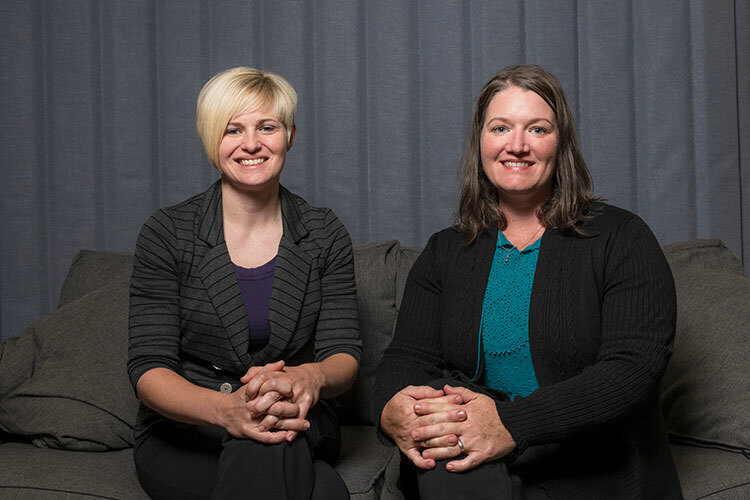 Project PEACE coordinator Gina Zerka and Refugee Development Center director Erika Brown-Binion. "We're the liaison between families in need and the schools," Zerka says of Project PEACE. "We provide kids with mental and behavioral health supports, like in-house counseling services, and when that doesn't meet the need we provide referrals to outpatient therapy as well. Depending on what kind of help a child needs, we often refer them to one of our community partners, who can step in and provide the right support." One of those community partners is the Refugee Development Center (RDC), a Lansing nonprofit. Thanks to Project PEACE, RDC now has a full-time social worker on staff helping refugee children in the LSD to adapt to the school environment and overcome some of the challenges they face from traumatic pasts. Those services are offered in support groups at school, home visits, and one-on-one sessions. 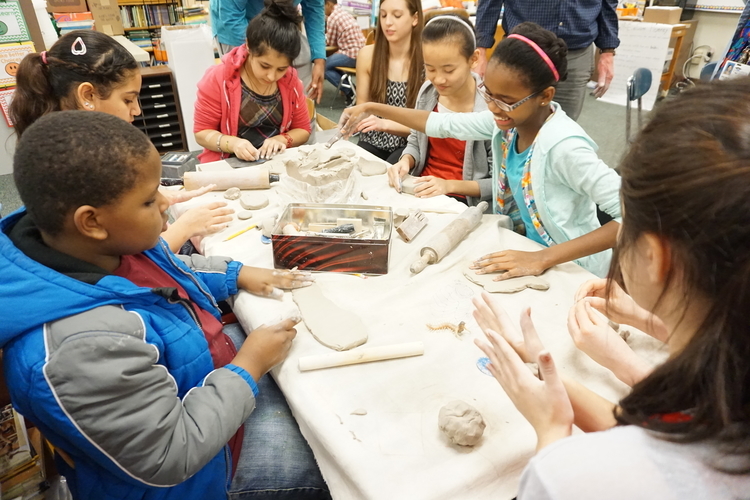 The Refugee Development Center's afterschool support program at Gardner Middle School in Lansing. "The goal is to promote peaceful solutions in the learning environment that result in happier and healthier students," says RDC director Erika Brown-Binion. Refugee children face incredible obstacles, and Lansing is home to thousands of resettled refugees. So this kind of partnership puts LSD in the unique position of being able to offer help and support to a portion of the population whose needs have so often gone unmet in the past. "I'm really proud of what we've accomplished so far," Zerka says. "We have a long way to go, and the work will never be done. But we're doing something really good here." "We've come a long way"
Being able to meet the mental health needs of Michigan students is an ongoing challenge that schools throughout the state are now embracing. But meeting those needs begins with acknowledging that there's an issue, and that wasn't always so easy. 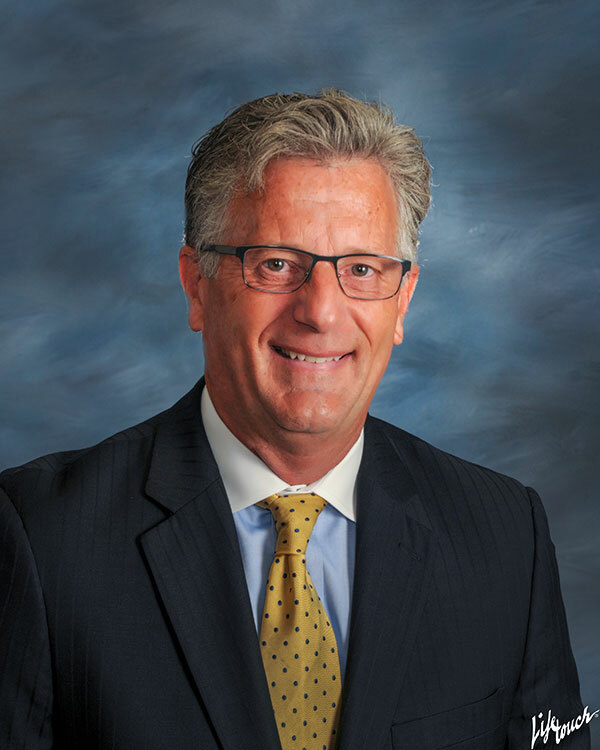 "In the last few years we've seen a real change in how people view mental health," says Paul Liabenow, executive director of the Michigan Elementary and Middle School Principal Association (MEMSPA). "Policies are now more inclusive and supportive than they used to be. We've come a long way." MEMSPA executive director Paul Liabenow. Several years ago Liabenow was a superintendent in Cadillac Area Public Schools. He worked with the school district to create a school-based health and wellness center that started by addressing the minor physical issues students ran into. "It was mostly colds and scraped knees and bloody noses," he says. Over time, however, school staff began to recognize the need for ways to address those less tangible problems that kids faced every day. The center slowly evolved to include referrals for mental health services and counseling, and later therapeutic and even psychiatric services. "We saw the growing need for mental health supports in our schools, and were able to adapt what we offered to meet those needs," Liabenow says. "In time we were providing social and emotional supports for kids as young as 5 and their families." MEMSPA associate executive director Syndee Malek has a similar backstory. 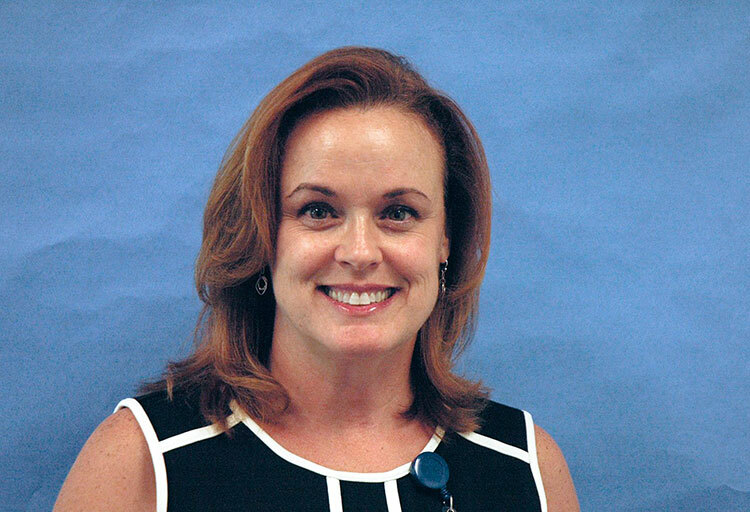 For several years she served as the principal of Vandenberg Elementary School in Redford Township, where she says "people finally realized that 'zero tolerance' wasn't working." MEMSPA associate executive director Syndee Malek. "If a kid acts out, suspending them from school doesn't solve the problem," she says. "We realized we needed something else – a way to help that child cope with whatever issues they were dealing with." Vandenberg Elementary partnered with Lincoln Behavioral Services in Detroit, and a licensed therapist was employed full-time at the school to help kids who were having a hard time. "The change was dramatic," Malek says. "We saw a steady decline in suicide attempts, depression, and anxiety among our student population. Therapeutic help does so much more to keep kids in school, and help meet their emotional and psychological needs. As a result, they have a much higher rate of success, both at school and in their personal lives." Liabenow and Malek are currently engaged in a new initiative called Project IHSIP (Incorporating Health and Wellness Into School Improvement Plans), funded by a two-year grant from the Michigan Health Endowment Fund. Through the project, MEMSPA is supporting 12 Michigan school districts in developing nutrition, exercise, and social-emotional learning programming. The project just started last year, but Malek is excited about the results. "We've seen huge improvements in students' wellbeing, both emotionally and physically," she says. "And that's led to increased community involvement and families making greater commitments to school programs." Although schools and school-based services can contribute greatly to improving students' mental health, Liabenow says buy-in from students' families is still crucial as well. "In the future we'd love to see more funding aimed at providing for kids here in Michigan who need mental health support, and programs that help students self-regulate," he says. "But the most important factor in this equation is a caring adult. Policies and funding are very important, but an adult who really cares is the difference-maker in this work." Refugee Development Center photos courtesy of Refugee Development Center. Photo of Syndee Malek courtesy of Syndee Malek. Photo of Paul Liabenow courtesy of Paul Liabenow.